We have been providing construction management services for decades, providing construction management advice and support, health, safety, sustainability, environmental and quality (HSSEQ) direction and support, and commissioning and start-up as part of our services. Our construction management services span all our sectors including residential, commercial and retail objectives. Dolmen has developed and refined state-of-the-art systems, procedures and specifications for the management and control of engineering, procurement, construction and commissioning of process and industrial facilities worldwide. 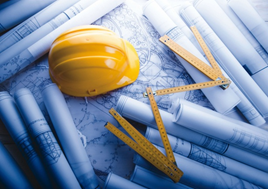 We have a common approach to construction management when executing projects within Dolmen. It combines an assurance framework for project delivery with access to a comprehensive reference framework of guidance. It is part of a fully interfaced set of work processes which sets out the way of working. Together these processes give us a blueprint for our standard approach to complete, successful delivery of all our projects, every time.